Adventures in the Endless Pursuit of Entertainment: Congrats to THINGS I LEFT ON LONG ISLAND! 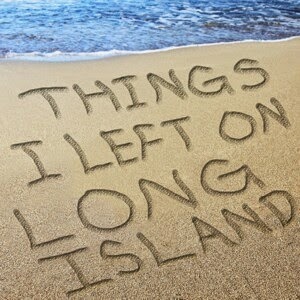 Congrats to THINGS I LEFT ON LONG ISLAND! 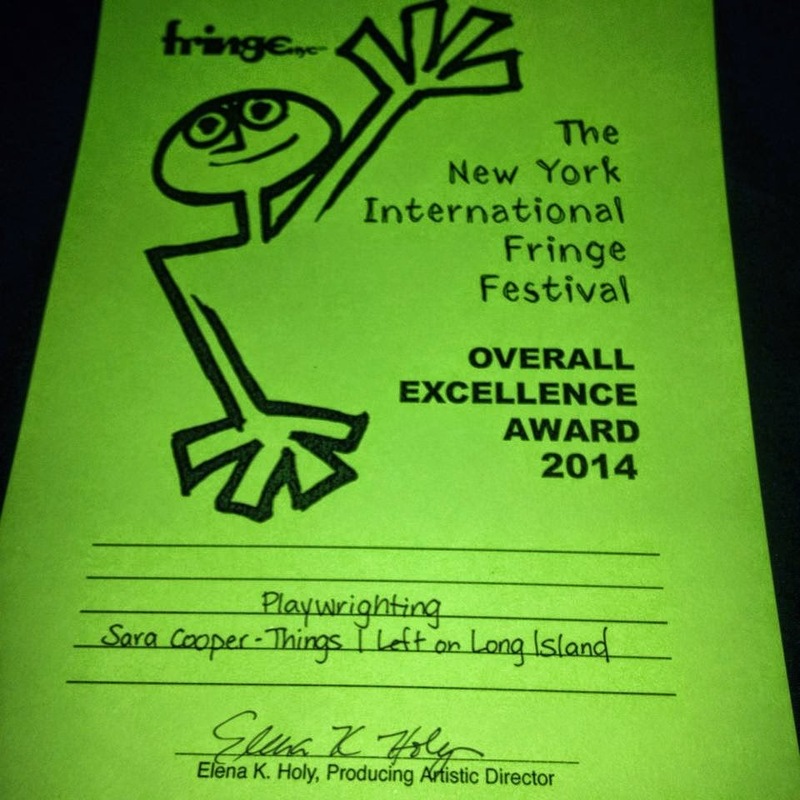 Sara Cooper has received the 2014 FringeNYC Overall Excellence Award for Playwrighting for Things I Left on Long Island! Things I Left on Long Island, as part of the 19th annual 2014 FringeNYC, starred Lindsay Goranson as mother Dolores, Susanna Hari as Grandma, Jenn Mello as Aunt Velma, Michael Rehse as Cousin Stephen, and Elysia Segal as Marny. Noah Himmelstein directed. I'm so glad to say that I saw Things I Left on Long Island : http://www.sarahbsadventures.com/2014/08/things-i-left-on-long-island-at.html This is the fourth piece I've seen by Sara Cooper (two others were with her collaborator composer Zachary Redler) and I will continue to watch for pieces by Sara.